WTF Are You Reading? : Conception And Commercialism Meet In Very Unsettling Ways In "The Farm"
Conception And Commercialism Meet In Very Unsettling Ways In "The Farm"
Nestled in the Hudson Valley is a sumptuous retreat boasting every amenity: organic meals, private fitness trainers, daily massages--and all of it for free. In fact, you get paid big money--more than you've ever dreamed of--to spend a few seasons in this luxurious locale. The catch? For nine months, you belong to the Farm. You cannot leave the grounds; your every move is monitored. Your former life will seem a world away as you dedicate yourself to the all-consuming task of producing the perfect baby for your überwealthy clients. Jane, an immigrant from the Philippines and a struggling single mother, is thrilled to make it through the highly competitive Host selection process at the Farm. But now pregnant, fragile, consumed with worry for her own young daughter's well-being, Jane grows desperate to reconnect with her life outside. Yet she cannot leave the Farm or she will lose the life-changing fee she'll receive on delivery--or worse. 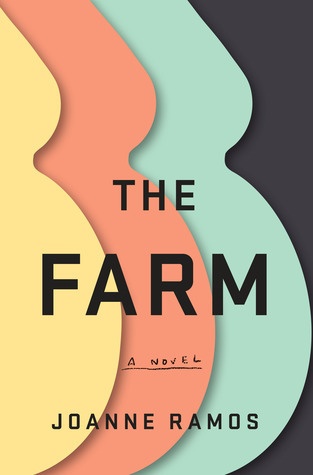 Heartbreaking, suspenseful, provocative, The Farm pushes our thinking on motherhood, money, and merit to the extremes, and raises crucial questions about the trade-offs women will make to fortify their futures and the futures of those they love. In Joanne Ramoes' 2019 release entitled The Farm. She dares to shine a glaring light on the very sensitive subject of what has become the most highly prized boon in the world of 'human commodities '. Or more to the point. The paid use of one's womb to carry the offspring of another. In this case. The carrier being Jane. A young Filipino woman recently fired from her position as a baby nurse to an affluent Caucasian family. Seemingly out of options, and desperate to make a better life for herself and her 6-month old daughter, Amalia. Golden Oaks, a state-of-the-art, first of it's kind facility. Built to cater to those wealthy clients who due to infertility or for the sake of aesthetics; are willing to allow a woman of their choosing to carry their unborn. And while the cost to both Jane and her fellow surrogates, of time, freedom, personal autonomy, and personal relationships are all pretty much the same across the board. The compensation rates vary according to race and education level. With the college educated Caucasian leading the list on all fronts. Exploitation and manipulation of Jane and the others by the clients is just the tip of the iceberg however. With the introduction of Mae Yu, Executive Director of Operations at Golden Oaks. We are presented a woman determined to make the business of buying and selling womb space. The gateway through which she ushers in her American Dream. And what system of usury could be complete without it taking place even among those cast lowest on this convoluted totem pole. Even the surrogates are casting their lots in the "what's in this for me game." With unschooled Jane being their prime target. Jane plays the unwitting "lamb to the slaughter" to perfection . A part that leaves her with progressively more to lose as time goes on. 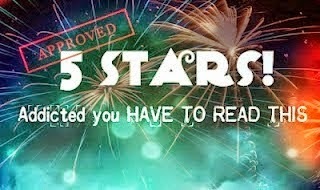 But one in which readers don't become aware of the magnitude of Jane's loses until story's end. The truths told here are ones that have been experienced by minorities and disenfranchised peoples the world over. And while this is an admittedly a difficult read. It is both very timely and extremely important. JOANNE RAMOS was born in the Philippines and moved to Wisconsin when she was six. She graduated with a BA from Princeton University. After working in investment banking and private-equity investing for several years, she became a staff writer at The Economist.